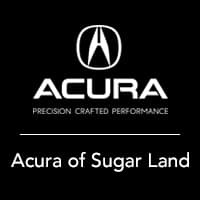 Sterling McCall Acura Sugar Land invites you to search our outstanding inventory of new Acura cars and SUVs for sale near me in Sugar Land, TX. Our team of Acura specialists are ready and waiting to help you find one of the best deals on new cars and SUVs around. Don’t forget to ask about our great Acura financing options, lease deals, and exclusive dealer incentives. Search our stock online, drop in for a test drive, or call (832) 944-7220 today. This outstanding example of a 2019 Acura ILX is offered by Sterling McCall Acura Sugar Land. Just what you've been looking for. With quality in mind, this vehicle is the perfect addition to take home. This vehicle won't last long, take it home today. This is about the time when you're saying it is too good to be true, and let us be the one's to tell you, it is absolutely true. You can finally stop searching... You've found the one you've been looking for. This outstanding example of a 2019 Acura ILX is offered by Sterling McCall Acura Sugar Land. This Acura includes: EBONY, LEATHERETTE SEAT TRIM Premium Synthetic Seats PLATINUM WHITE PEARL *Note - For third party subscriptions or services, please contact the dealer for more information. * Look no further, you have found exactly what you've been looking for. This is about the time when you're saying it is too good to be true, and let us be the one's to tell you, it is absolutely true. The Acura ILX will provide you with everything you have always wanted in a car -- Quality, Reliability, and Character. This 2019 Acura ILX is proudly offered by Sterling McCall Acura Sugar Land This Acura includes: EBONY, LEATHERETTE SEAT TRIM Premium Synthetic Seats MODERN STEEL METALLIC *Note - For third party subscriptions or services, please contact the dealer for more information. * This is about the time when you're saying it is too good to be true, and let us be the one's to tell you, it is absolutely true. There is no reason why you shouldn't buy this Acura ILX . It is incomparable for the price and quality. Just what you've been looking for. With quality in mind, this vehicle is the perfect addition to take home. Contact Sterling McCall Acura Sugar Land today for information on dozens of vehicles like this 2019 Acura ILX . The look is unmistakably Acura, the smooth contours and cutting-edge technology of this Acura ILX will definitely turn heads. This is about the time when you're saying it is too good to be true, and let us be the one's to tell you, it is absolutely true. You've found the one you've been looking for. Your dream car. This is the one. Just what you've been looking for. We are excited to offer this 2019 Acura ILX. This is the one. Just what you've been looking for. Based on the superb condition of this vehicle, along with the options and color, this Acura ILX w/Premium Pkg is sure to sell fast. You could keep looking, but why? You've found the perfect vehicle right here. The look is unmistakably Acura, the smooth contours and cutting-edge technology of this Acura ILX w/Premium Pkg will definitely turn heads. We look forward to seeing you soon! Please call us for more information. Contact Sterling McCall Acura Sugar Land today for information on dozens of vehicles like this 2019 Acura ILX w/Premium Pkg. The Acura ILX w/Premium Pkg will provide you with everything you have always wanted in a car -- Quality, Reliability, and Character. This is the one. Just what you've been looking for. Beautiful color combination with Majestic Black Pearl exterior over EN interior making this the one to own! The look is unmistakably Acura, the smooth contours and cutting-edge technology of this Acura ILX w/Premium Pkg will definitely turn heads. This outstanding example of a 2019 Acura ILX w/Premium Pkg is offered by Sterling McCall Acura Sugar Land. This is about the time when you're saying it is too good to be true, and let us be the one's to tell you, it is absolutely true. This is the one. Just what you've been looking for. You can finally stop searching... You've found the one you've been looking for. Just what you've been looking for. With quality in mind, this vehicle is the perfect addition to take home. Sterling McCall Acura Sugar Land is excited to offer this 2019 Acura ILX. This Acura includes: EBONY, PERFORATED MILANO PREMIUM LEATHER AND ULTRASUEDE Leather Seats Premium Synthetic Seats *Note - For third party subscriptions or services, please contact the dealer for more information. * Why spend more money than you have to? This Acura ILX will help you keep the extra money you'd normally spend on gas. You can finally stop searching... You've found the one you've been looking for. Beautiful color combination with Modern Ste exterior over NH-797M/EBONY interior making this the one to own! Contact Sterling McCall Acura Sugar Land today for information on dozens of vehicles like this 2019 Acura ILX w/Technology Pkg. This Acura includes: EBONY, PERFORATED MILANO PREMIUM LEATHER SEAT TRIM Leather Seats MAJESTIC BLACK PEARL *Note - For third party subscriptions or services, please contact the dealer for more information. * This is the one. Just what you've been looking for. This is about the time when you're saying it is too good to be true, and let us be the one's to tell you, it is absolutely true. You could keep looking, but why? You've found the perfect vehicle right here. We are excited to offer this 2019 Acura ILX. Everyone hates the gas pump. Skip a few gas stations with this super fuel efficient AcuraILX. You can finally stop searching... You've found the one you've been looking for. The Acura ILX w/Premium/A-SPEC Pkg will provide you with everything you have always wanted in a car -- Quality, Reliability, and Character. Just what you've been looking for. With quality in mind, this vehicle is the perfect addition to take home. We look forward to seeing you soon! Please call us for more information. This 2019 Acura ILX w/Technology/A-SPEC Pkg is offered to you for sale by Sterling McCall Acura Sugar Land. This Acura includes: EBONY, PERFORATED MILANO PREMIUM LEATHER AND ULTRASUEDE Leather Seats Premium Synthetic Seats *Note - For third party subscriptions or services, please contact the dealer for more information. * Save money at the pump with this fuel-sipping Acura ILX. You can finally stop searching... You've found the one you've been looking for. There is no reason why you shouldn't buy this Acura ILX w/Technology/A-SPEC Pkg. It is incomparable for the price and quality. You can find this 2019 Acura ILX w/Technology/A-SPEC Pkg and many others like it at Sterling McCall Acura Sugar Land. Stylish and fuel efficient. It's the perfect vehicle for keeping your fuel costs down and your driving enjoying up. This is about the time when you're saying it is too good to be true, and let us be the one's to tell you, it is absolutely true. Just what you've been looking for. With quality in mind, this vehicle is the perfect addition to take home. The look is unmistakably Acura, the smooth contours and cutting-edge technology of this Acura ILX w/Technology/A-SPEC Pkg will definitely turn heads. This 2019 Acura ILX w/Technology/A-SPEC Pkg is proudly offered by Sterling McCall Acura Sugar Land This Acura includes: EBONY, PERFORATED MILANO PREMIUM LEATHER AND ULTRASUEDE Leather Seats Premium Synthetic Seats *Note - For third party subscriptions or services, please contact the dealer for more information. * Start enjoying more time in your new ride and less time at the gas station with this 2019 Acura ILX. You can finally stop searching... You've found the one you've been looking for. There is no reason why you shouldn't buy this Acura ILX w/Technology/A-SPEC Pkg. It is incomparable for the price and quality. Contact Sterling McCall Acura Sugar Land today for information on dozens of vehicles like this 2019 Acura ILX w/Technology/A-SPEC Pkg. This Acura includes: EBONY, PERFORATED MILANO PREMIUM LEATHER AND ULTRASUEDE Leather Seats Premium Synthetic Seats PLATINUM WHITE PEARL *Note - For third party subscriptions or services, please contact the dealer for more information. * Start enjoying more time in your new ride and less time at the gas station with this 2019 Acura ILX. You can finally stop searching... You've found the one you've been looking for. Based on the superb condition of this vehicle, along with the options and color, this Acura ILX w/Technology/A-SPEC Pkg is sure to sell fast. You can find this 2019 Acura ILX w/Technology/A-SPEC Pkg and many others like it at Sterling McCall Acura Sugar Land. This Acura includes: EBONY, PERFORATED MILANO PREMIUM LEATHER AND ULTRASUEDE Leather Seats Premium Synthetic Seats APEX BLUE PEARL *Note - For third party subscriptions or services, please contact the dealer for more information. * Everyone hates the gas pump. Skip a few gas stations with this super fuel efficient AcuraILX. Beautiful color combination with Apex Blue exterior over B-621P/EBONY interior making this the one to own! The Acura ILX w/Technology/A-SPEC Pkg will provide you with everything you have always wanted in a car -- Quality, Reliability, and Character. Contact Sterling McCall Acura Sugar Land today for information on dozens of vehicles like this 2019 Acura ILX w/Technology/A-SPEC Pkg. This Acura includes: EBONY, PERFORATED MILANO PREMIUM LEATHER AND ULTRASUEDE Leather Seats Premium Synthetic Seats RED, PERFORATED MILANO PREMIUM LEATHER AND ULTRASUEDE Leather Seats Premium Synthetic Seats *Note - For third party subscriptions or services, please contact the dealer for more information. * Why spend more money than you have to? This Acura ILX will help you keep the extra money you'd normally spend on gas. The look is unmistakably Acura, the smooth contours and cutting-edge technology of this Acura ILX w/Technology/A-SPEC Pkg will definitely turn heads. You can finally stop searching... You've found the one you've been looking for. Contact Sterling McCall Acura Sugar Land today for information on dozens of vehicles like this 2019 Acura TLX . This Acura includes: GRAYSTONE, LEATHERETTE-TRIMMED INTERIOR LUNAR SILVER METALLIC *Note - For third party subscriptions or services, please contact the dealer for more information. * Just what you've been looking for. With quality in mind, this vehicle is the perfect addition to take home. The 2019 Acura exterior is finished in a breathtaking Sil, while being complemented by such a gorgeous NH-830MV/GRAYSTONE interior. This color combination is stunning and absolutely beautiful! This is about the time when you're saying it is too good to be true, and let us be the one's to tell you, it is absolutely true. This outstanding example of a 2019 Acura TLX is offered by Sterling McCall Acura Sugar Land. This Acura includes: PLATINUM WHITE PEARL EBONY, LEATHERETTE-TRIMMED INTERIOR *Note - For third party subscriptions or services, please contact the dealer for more information. * Just what you've been looking for. With quality in mind, this vehicle is the perfect addition to take home. The Acura TLX will provide you with everything you have always wanted in a car -- Quality, Reliability, and Character. Look no further, you have found exactly what you've been looking for. We are excited to offer this 2019 Lexus GS. This Lexus includes: F SPORT PERFORATED LEATHER HEATED STEERING WHEEL Heated Steering Wheel Leather Steering Wheel PREMIUM TRIPLE-BEAM LED HEADLAMPS MARK LEVINSON PREMIUM SURROUND SOUND AUDIO SYSTEM Premium Sound System INTUITIVE PARK ASSIST (IPA) Rear Parking Aid PREFERRED ACCESSORY PACKAGE (Z2) Wheel Locks F SPORT PACKAGE *Note - For third party subscriptions or services, please contact the dealer for more information. * Today's luxury vehicle is not just about opulence. It's about a perfect balance of performance, comfort and attention to detail. This 2019 Lexus GS is the perfect example of the modern luxury. This Lexus GS is equipped with AWD for improved handling. Whether you're faced with inclement weather or just out enjoying the twisting back road, you'll have the grip of AWD on your side. There is no reason why you shouldn't buy this Lexus GS GS 350 F SPORT. It is incomparable for the price and quality. We look forward to seeing you soon! Please call us for more information. This outstanding example of a 2019 Acura TLX w/Technology Pkg is offered by Sterling McCall Acura Sugar Land. This Acura includes: LUNAR SILVER METALLIC EBONY, PREM PERFORATED MILANO LEATHER-TRIMMED INTERIOR Leather Seats *Note - For third party subscriptions or services, please contact the dealer for more information. * Stylish and fuel efficient. It's the perfect vehicle for keeping your fuel costs down and your driving enjoying up. The look is unmistakably Acura, the smooth contours and cutting-edge technology of this Acura TLX w/Technology Pkg will definitely turn heads. Based on the superb condition of this vehicle, along with the options and color, this Acura TLX w/Technology Pkg is sure to sell fast.